Super super super short post today! So I was looking for my other bunny thing I have but I still can't find. What I did find was what this. My Gma made this outfit and I wanted to show it off. When you walk your feet leave little pink footprint particles. 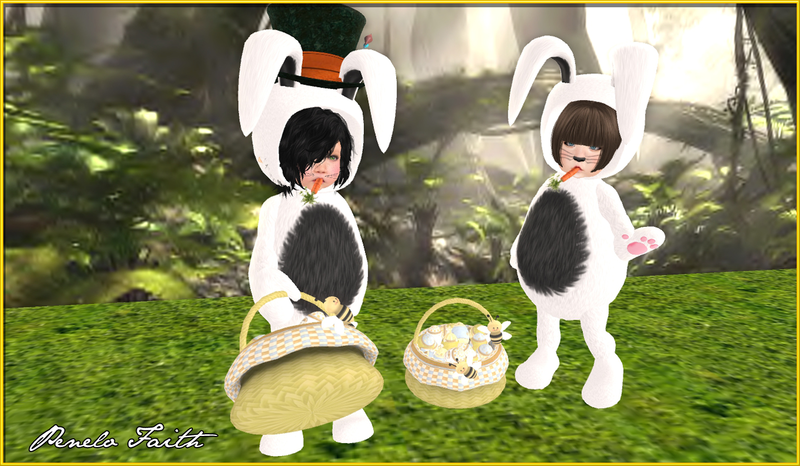 So you can be hopping away leaving a track to all the eggs you hiding away for Easter! ^.^ Love you Gramma Cloudy! Kisses thank you for letting me be your little bunny! 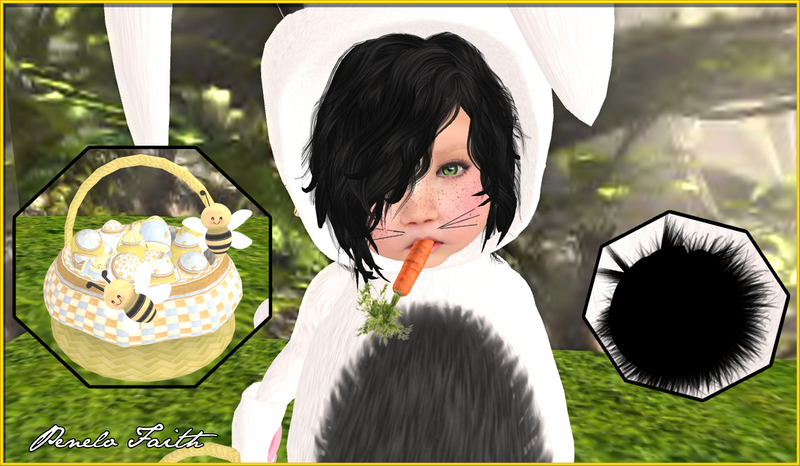 Includes Easter Basket, Carrot and Bunny Whiskers. There are other colors available so be sure to check it out.